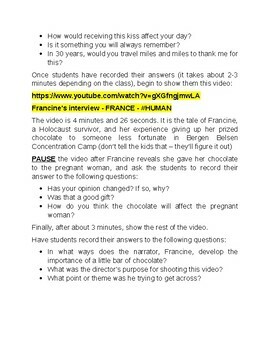 This 15-20 minute activity is a great way to introduce your kids to the horrors of the Holocaust, to be paired with a novel study or used as a thoughtful debrief after one. 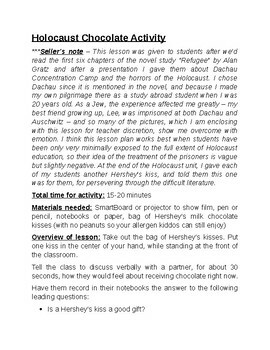 My students had just started reading Alan Gratz's novel "Refugee" when I showed this to them, and I paired it with pictures of my travels at Dachau Concentration Camp the day before. 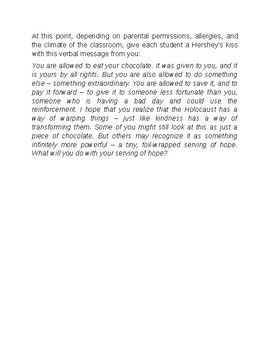 I thought they could use something inspirational and sweet to lighten the dark mood of our classroom, so I came up with this activity. Dachau pictures can be found for free in my store in a separate file, though I do ask that discretion is used.